My Top Winter Travel Destinations - Top Ten Travel Blog | Our experiences traveling throughout the US. *Ice Skating at Millennium Park –The McCormick Tribune Ice Rink is open from November to March. Free admission! Great rink but it can get really crowded on weekends. *Museums – I prefer The Field Museum and The Shedd Aquarium. Check the websites for special holiday events. 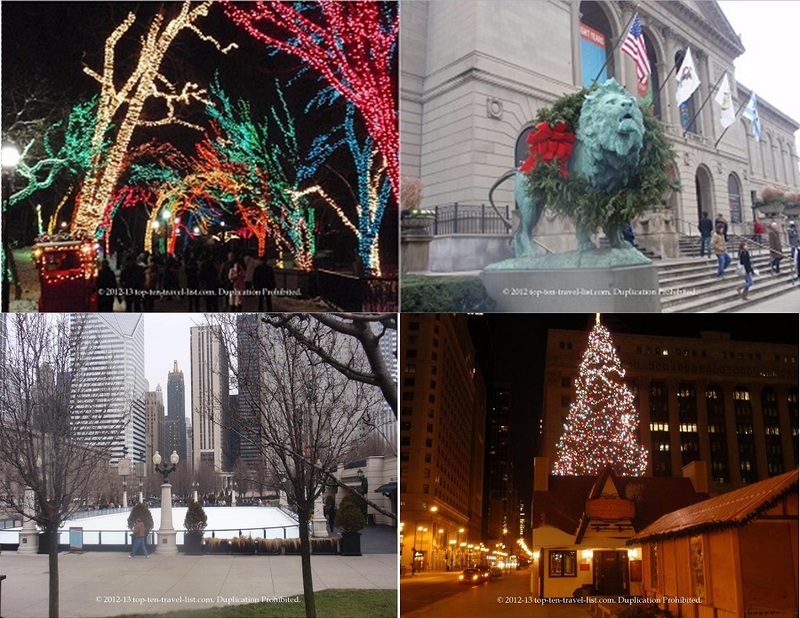 *Winter Holiday Events – There are plenty of holiday events such as the downtown Tree Lighting, Christkindlmarket (a German holiday market), The Magnificent Mile Lights Festival, and more! 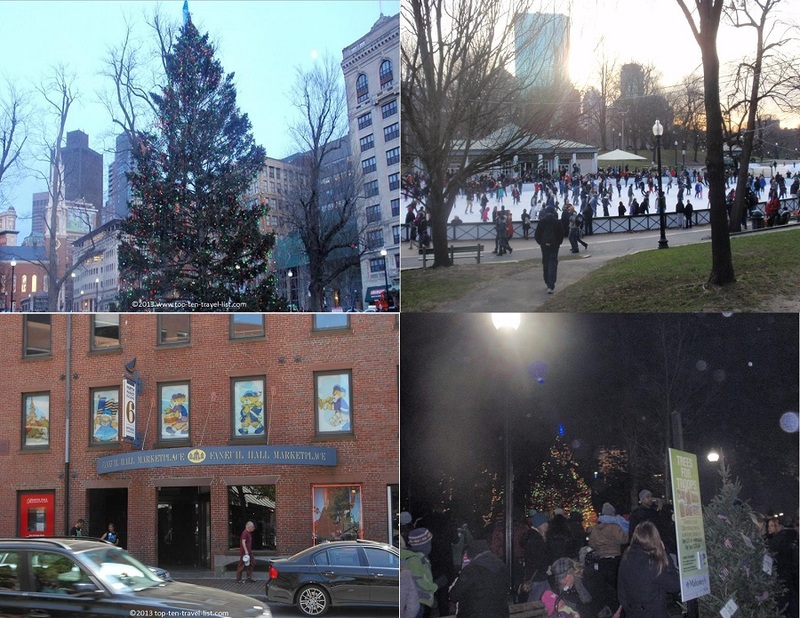 *Ice skating at Frog Pond – The Boston Common Frog Pond Rink is open Nov-March and hosts competitive figure skating events. There is a small admission free so bring your own skates (rentals are pricey). *Grab a hot drink and walk around Boston Common – I like The Boston Common Coffee Company and David’s Tea. *Make sure to be in town for the Annual Christmas tree lighting – This event is complete with live music performances, hot drinks, and live entertainment! *Grab a bite to eat at Faneuil Hall Markeplace – Lots of great restaurants to take a break from your holiday shopping! 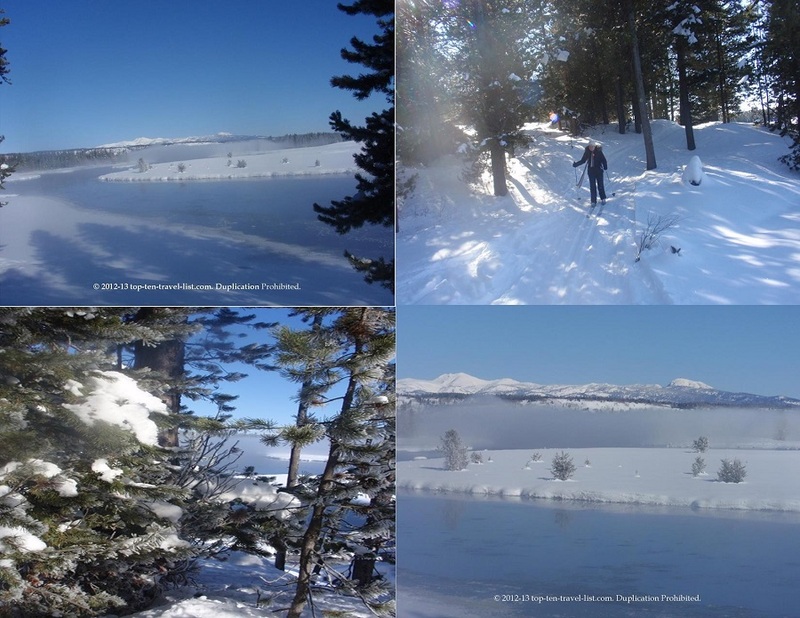 *A winter sleigh ride – Sleigh rides start at the National Elk Refuge start in December and end in March/April. 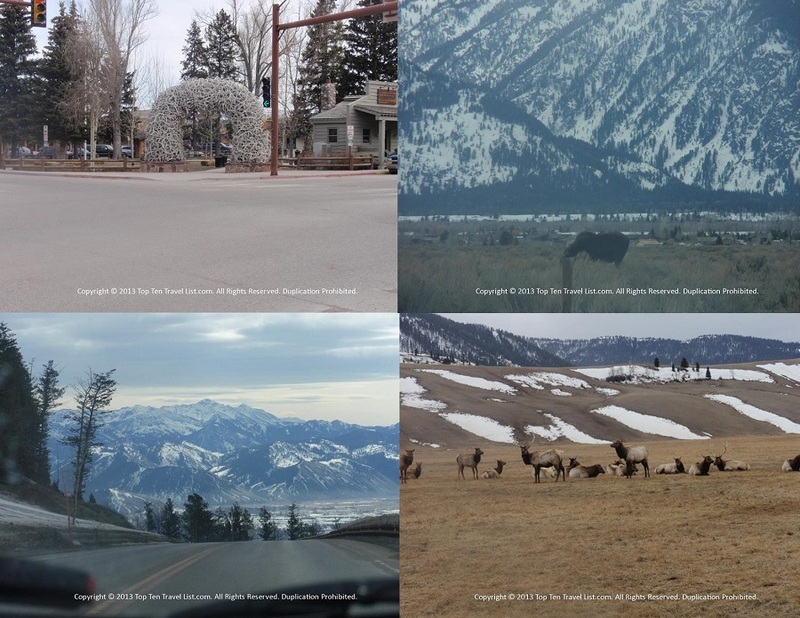 Highly recommended – check out my pictures of all the Elk I saw during the ride! *Drive through Bridger- Teton National Park – Bridger-Teton National Forest is a winter wonderland this time of the year. Check the website for road closures and alerts. *Ski at Jackson Hole – one of the top ski resorts in the country. Find information about prices and additional activities at the Jackson Hole Mountain website. *Stroll around the Jackson downtown area – There are really cool arches made out of the shed Elk antlers. You will also find eclectic shops, ice skating, and plenty of great restaurants. *Visit Heavenly Mountain Resort – There is something for everyone at Heavenly: skiing, ice skating, shopping, and scenic gondola rides! 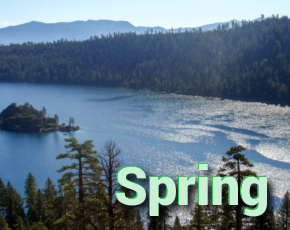 *Take an aerial tram ride – Squaw Valley has year round scenic tram rides. At the top you can ice skate and absorb the majestic views. *Walk around The Shops at Squaw Valley – This scenic mountain shopping area has outdoor fire pits, plenty of sports apparel stores, and a few great restaurants. 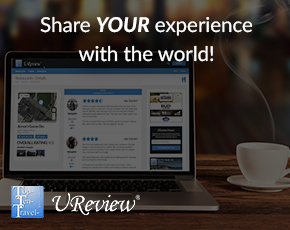 I recommend Reserve Wine Bar! 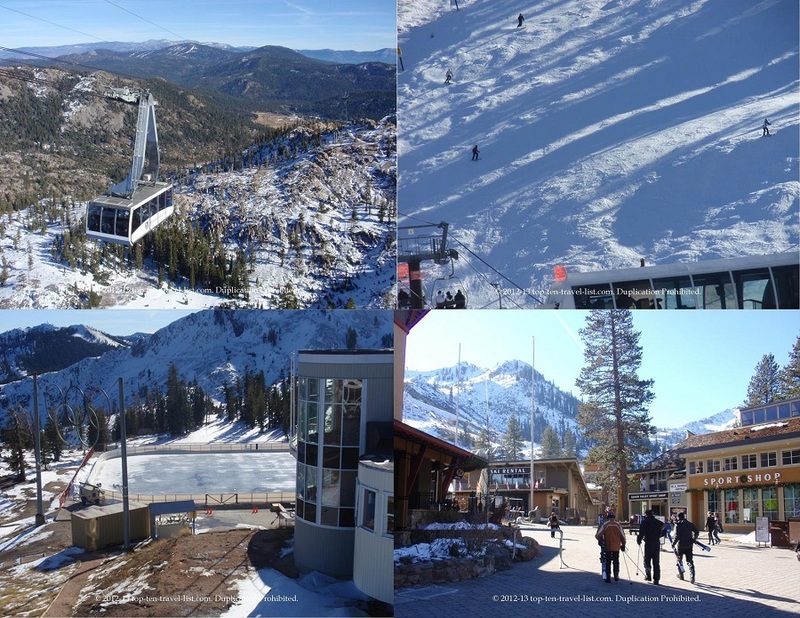 *Ice skate at Squaw Valley – Ice skating and scenic mountain views in the winter months; what could be better?! *Visit Harriman State Park – At Harriman there are plenty of winter activities including groomed cross country ski trails (highly recommended), snowshoeing, and more! *Visit Nestlenook Farms – Nestlenook Farms is a winter wonderland complete with ice skating, sleigh rides, and snowshoeing. *Drive around the beautiful snow covered mountains and forests. *Stay at an inn – Winter is a great time to stay in one of the many inns in this scenic New England town. 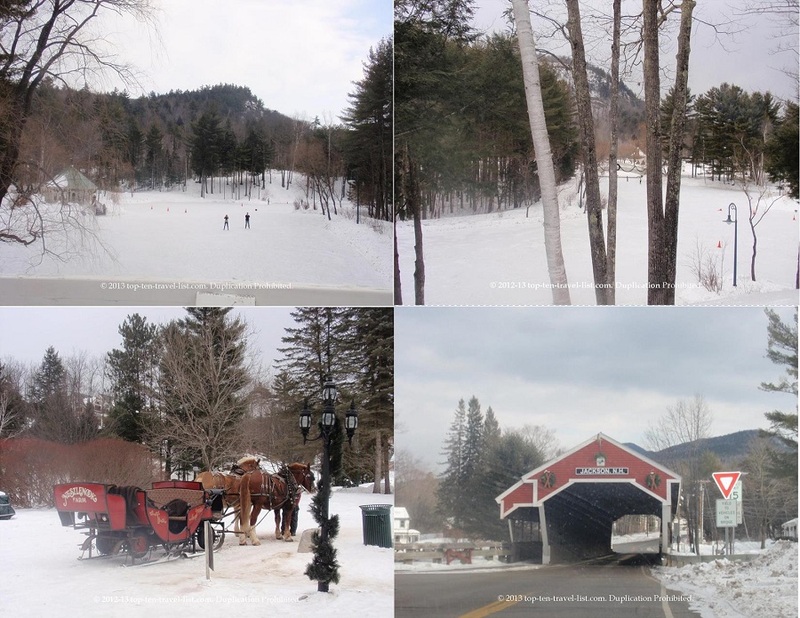 Plenty of winter activities nearby including Cranmore Ski Mountain, a town ice rink, and scenic drives with views of the spectacular White Mountains. *Visit Settlers’ Green Outlet stores – Over 60 great outlet shopping choices!